After you were assigned to write a portfolio essay, you have probably been stressed out wondering how to do it and where to start from, haven’t you? What is a portfolio? How to write it? Why to write it at all? A portfolio is a collection of your best works, whether in the field of art, poetry, prose, or other type of writings. This collection is never taken in itself; you have to comment and analyze it in a portfolio essay. In our world resembling a vast sea of information it is important to have access to every piece of text you have written. Perhaps you have had cases when your poetry or essay was lost, or the files were simply deleted by accident; or you have intentionally destroyed your papers and so forth. What to do then? One of the options is to collect your essays or other writings in a special folder - something which writers usually do. But a portfolio is not simply a collection. It is your advertisement. A portfolio is a collection of your best works, whether in the field of art, poetry, prose, etc. This collection is never taken in itself; you have to comment and analyze it in a portfolio essay. The specific thing with a portfolio essay is that it includes reflection. A young gifted author or artist should always analyze his/her works and be able to assess them. Reflection means observing yourself, your own feelings, emotions and thoughts; a process of going deep inside your own personality. If taken to extremes, such a process would lead to psychological self-analysis. Still, such thing is not required from you; all you need to do is to reflect on your works, to write what is good and what is not that good in them; to observe the process of development of your writing skills, the factors and motives behind it. The current guide will only deal with writings; if your paper is related to art, you could also make advantage of the advice available here. A portfolio essay does not have a precise topic, so you do not need to figure it out. Your instructor should have told you what exactly to prepare; let’s say, essays from the current academic year. 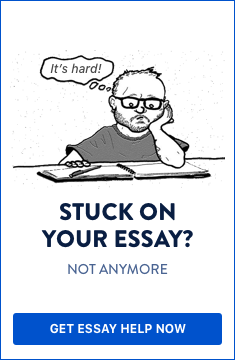 Thus, your portfolio essay will have a clear focus: either on your development as a writer (within the last academic year), or on your writings on a certain subject. Ensure you have understood what is required from you. When you have selected the essays/writings, show them to your instructor in order not to waste your time and efforts. Afterwards you can continue with writing the paper. There could be also other criteria. Let’s say you need to select your best short stories. That means you have to choose them according to your personal perception of them. Remember that whatever the criteria are, you should select only the writings which are of good quality; if you need to present all essays written during the academic year, and you personally do not like some of them, you are not obliged to submit them. You need merely to explain in the introduction the reasons for your choice. The portfolio essay should begin with your introduction. Who are you? Why have you chosen the given course/class? What attracts you in writing? You have to present this information in one long paragraph - from five to ten sentences long. However, do not be too long - this is not an autobiography. The portfolio is a kind of advertisement; in order to sell your product (in this case to have higher grade), you have to show its best sides. After the description is made, you have to come up with a conception about the presented writings. Tell the reader what exactly is so special in each of them, and what makes them similar or complementary. Answer some of the following questions: do you see any development or change in your writing skills? Are they improving? Are the factors influencing your writing the same all the time? What mistakes you see now in your past works? What would you have changed if you could? If your instructor has reviewed your writings earlier and you have made some changes due to his/her remarks, you need to have a separate section explaining the changes you have made. You should write what ideas you have added or removed, what characters you have changed, and so forth. There is no need to say that your English grammar must be perfect. In order to avoid typos or other type of mistakes, handle your paper to a friend or someone who is an expert in English grammar. Moreover, it is good to work on your grammar and punctuation skills, especially if you want to become an author, including copywriter, journalist, etc. I have been writing short stories since I was in high-school. Short stories are the best way to express personal feelings and observations. I am able to make the reader focus on one central idea, to offer a problematic situation and to make the reader figure out a solution to it. My works do not seem finished but that is because I want to make the reader active instead of passively perceiving the information presented in the story. The current portfolio essay represents some selected short stories written in the last five years. They are ordered chronologically. Story 1 was inspired by my personal experience. It involves two young people who feel sympathy for each other but are not prepared to go further. The central symbol of the story is the invisible wall existing between both persons, a wall which prevents them from fulfilling their relationship. The presented collection of short stories demonstrates my internal drive to move towards introspection, thus ignoring all details of physical appearance and description of nature. At the same time it shows the diversity of my styles, methods and tools used for writing the stories. Let’s say it again, a portfolio essay may include different genres of writings as well as art (photography and other types of images). Hence, you should adapt the tips given in the current guide to your profession and subject.